iPhone 4 was announced yesterday by Steve Jobs at WWDC 2010 conference in San Francisco. As many had expected, the next generation iPhone 4 comes with host of new features with some of them being first to be introduced in a mobile phone device. 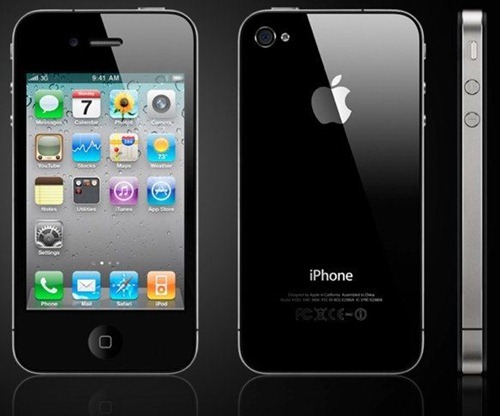 iPhone 4 will be released in the market starting June 24th at a cost of $199 for 16GB and $299 for 32GB (with contract). The biggest feature probably is the front and back cameras which will enable user to do Face to Face video calling. iPhone 4 is one of the thinnest smartphone in the world at 9.3mm which reduces quite a bit of bulkiness that its predecessors carried. iPhone 4 has the same A4 processor which runs iPad. The computing power of a tablet is now in the mobile. There are 2 cameras with a back camera sporting LED flash. The main back camera is now upgraded to 5 megapixel which includes 5x digital zoom, tap to focus and a backside illuminated sensor. It also has a 3-axis gyroscope which will make playing games real fun (search google to see what that is:), GPS, Bluetooth and Wi-Fi-n connectivity to boot. iPhone 4 display has also been improved, where you get 3.5" of IPS technology that sports a 960 x 640 resolution and an awesome 800:1 contrast ratio. iPhone 4 does HD video recording as well – 720p at 30fps Wow ! Battery for iPhone 4 has been upgraded which now promises 7 hours of 3G talk, 6 hours of 3G browsing, 10 hours of WiFi browsing, 10 hours of video, and 40 hours of music. On the Software front, iPhone 4 comes with the new upgraded iOS4 which claims to have added more than 100 new features. The first and most importantly is multitasking, so that you can run your favorite third-party apps — and switch between them instantly — without slowing down the performance. iPhone 4 has definitely lived upto its promises and I am sure like all the previous launches, I see consumers making a beeline in front of Apple stores worldwide on June 24 to get their hands on this coveted device. Fuel Price Regulation – Should be or should not be done ? What about the dates for Indian Market and the cost details for the same….